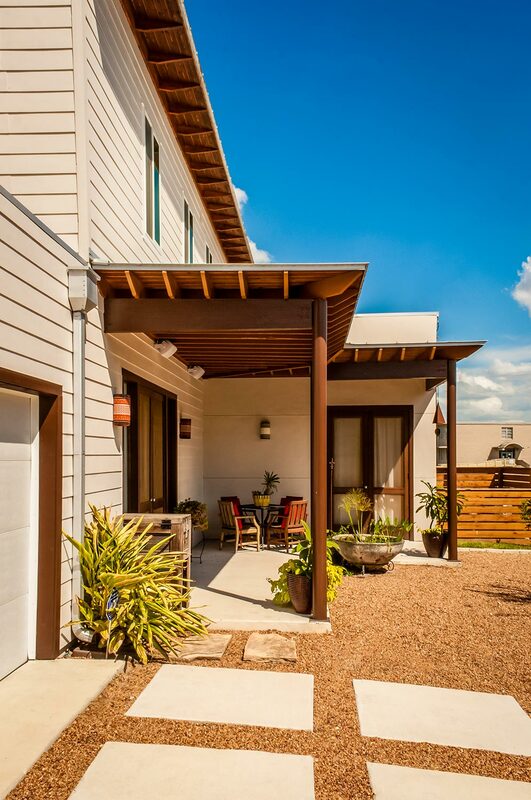 This development, nicknamed "Trivaca", is situated on a unique triangular shaped property within the historic Lavaca neighborhood of San Antonio. 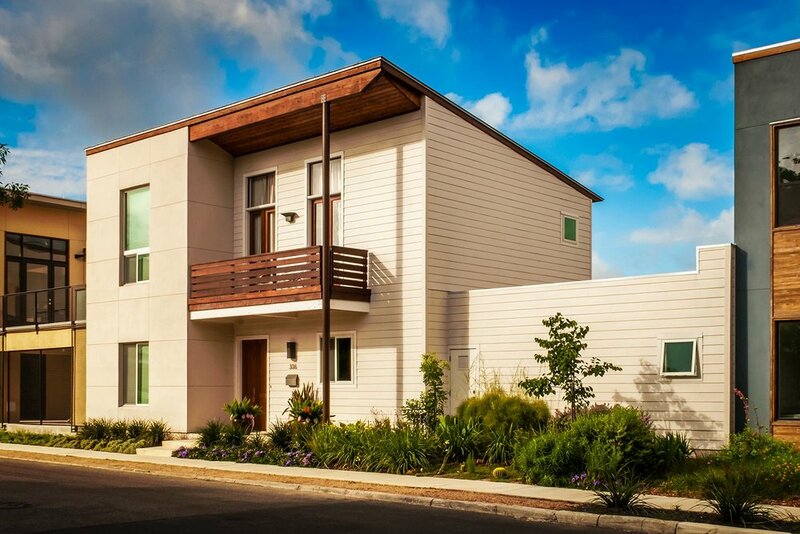 It consists of four, two-story modern townhouses, designed by four individual architects that work within the Southtown neighborhood. 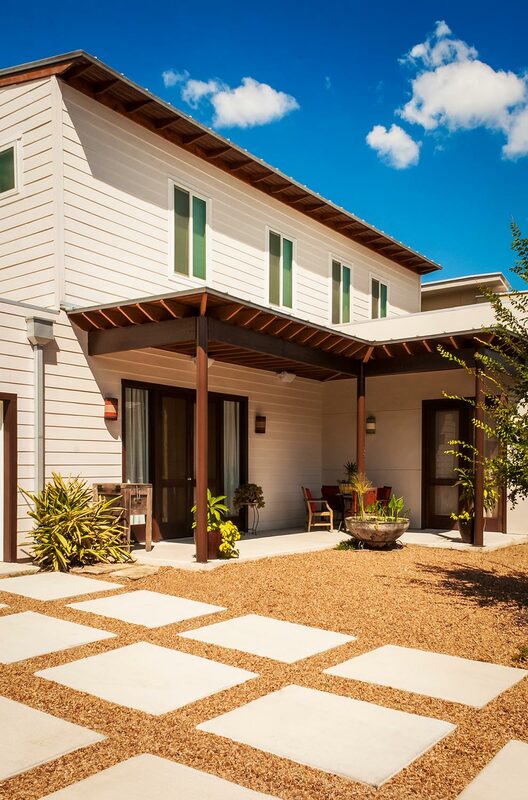 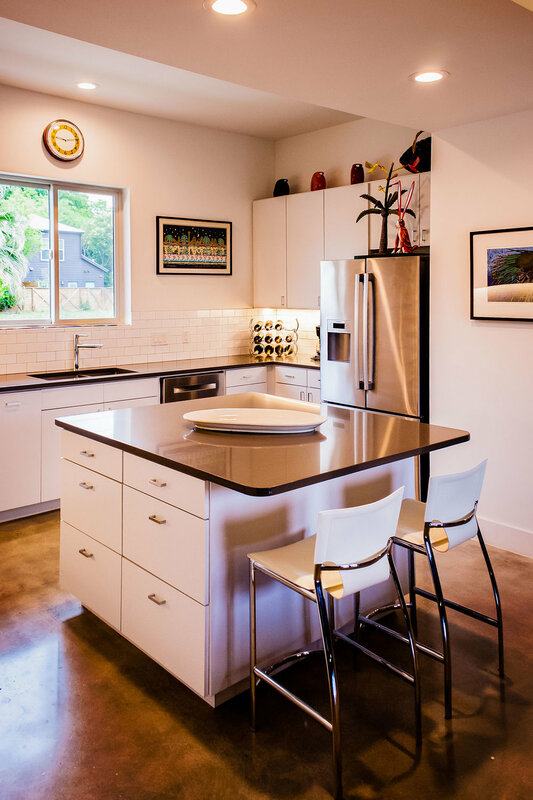 The designs, although modern, make use of a variety of materials found throughout the area such as steel, wood, and stucco, while also maintaining a unique individual look across all four properties. 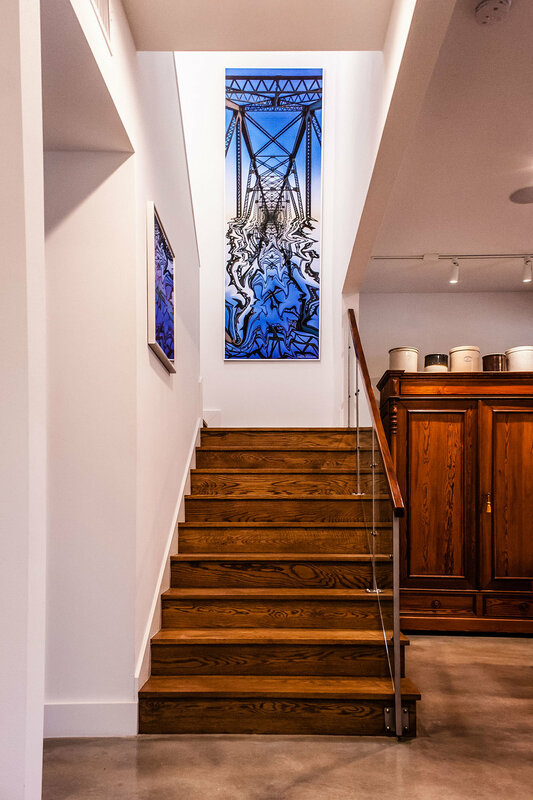 Fisher Heck's design for this home is a contemporary reflection of many of the surrounding historic homes, specifically with regards to materiality and building proportion. 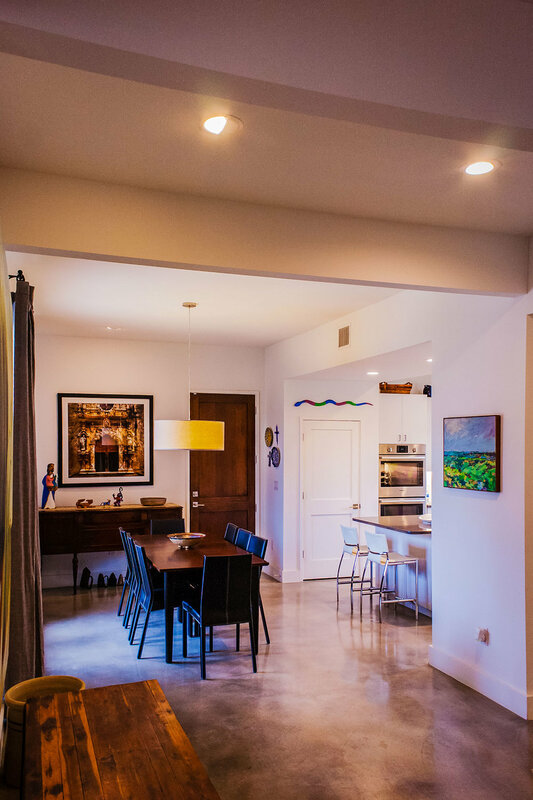 The main level consists of the main living areas as well as a home office/guest bedroom with full bath. 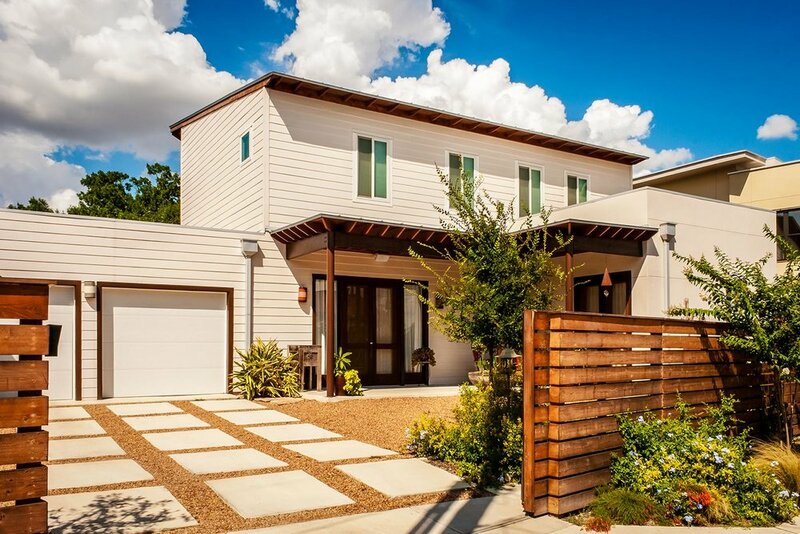 The living spaces all open out to a lush, private xeriscaped courtyard and modular driveway. 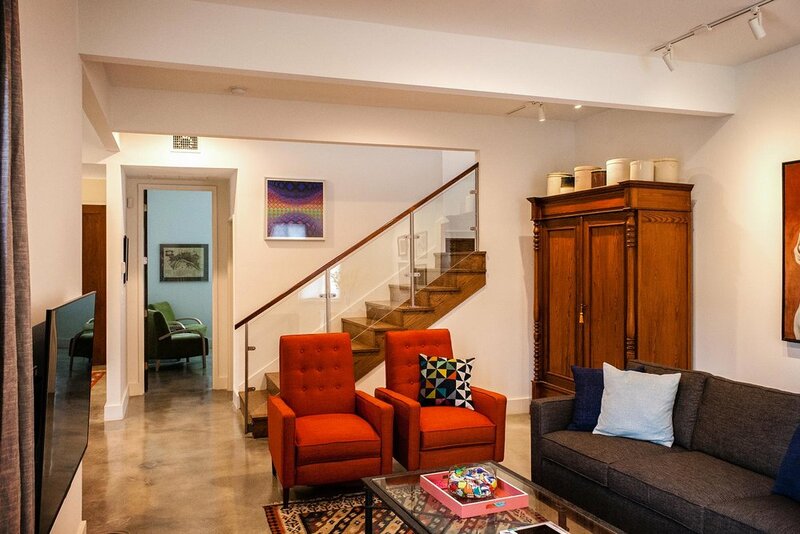 The two upstairs bedrooms both face north with perfect views of Tower of Americas and downtown fireworks.